You might be on a few maintenance medications that you take on a regular basis. You might also be using a few beauty products, soaps and other chemicals on a regular basis—and that’s enough to get some people concerned. The solution, for some, is consolidating and simplifying. They make the tough decision whether to give up on certain things or going more natural with their diet and skin care. It grows almost anywhere, basking in blistering sunlight or sitting unceremoniously on the windowsill, the thick leaves of Aloe Vera grow outward all the same. Inside each leaf, you’ll find the familiar translucent gel—some 96% water—that contains 18 of the body’s 20 amino acids, Vitamin A, B, C, E and so much more. One of the most crucial elements, though, is far more unknown. It’s a complex carbohydrate called “acemannan,” which helps deliver all these vital nutrients to cells while simultaneously flushing out toxins. The resulting gel delivers a highly soluble blast of nutrients that’s ideal for numerous applications. Recent scientific studies indicate that Aloe treatment could be effective for everything from heart disease to digestive issues. So today, we’re going to look at four of the key ways that a little Aloe Vera can go a long way. We’re going to look at the most common everyday applications where aloe may even be better than expensive synthetic remedies. Most women will experiment with dozens of beauty products throughout their lifetime, while some realize early on that the daily nutrition of aloe can often be enough to keep skin looking youthful and vibrant. Aloe Vera for Sensitive Skin—Combine some aloe vera gel with cucumber juice, yogurt and rose oil for a mask that gently nourishes and leaves you feeling perfectly clean. For Dry Skin— Aloe can be combined with a pinch of turmeric, some honey, some milk, and a few drops of rose water to make a moist paste that can sooth dry skin and restore suffering skin cells. For a Gentle Scrub—Mix half a cup of aloe gel with a cup of sugar and two tablespoons of lemon juice to make an all-natural, reinvigorating scrub that will remove dead skin cells and help heal knicks or scars. Aloe Vera for Acne—Instead of turning to a cabinet full of expensive creams, aloe vera can be blended with walnut flour and honey to make a nourishing paste that’s packed with antioxidants. Aloe contains something called “proteolytic enzymes” which are uniquely effective at repairing dead skin cells in the scalp. 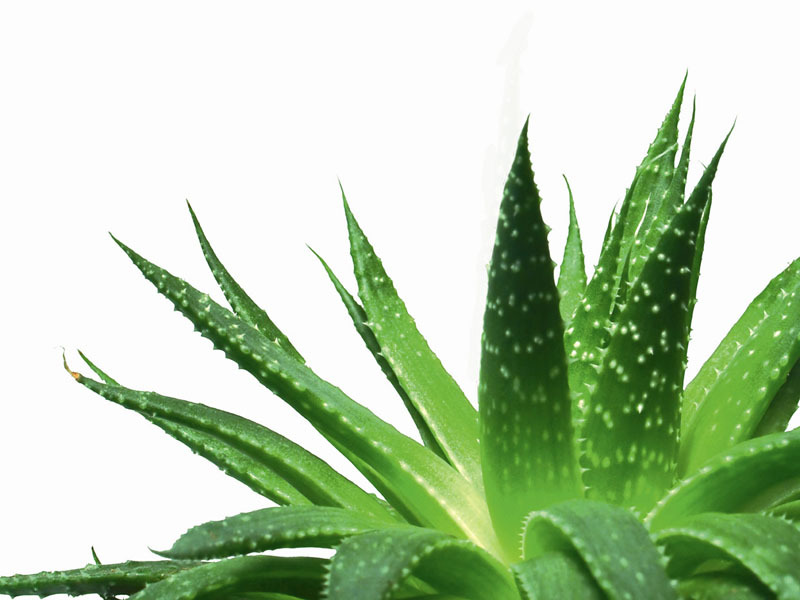 Additionally, aloe can promote hair growth, prevent itching—even reduce dandruff. Numerous studies have already revealed that it can stimulate weight loss when taken orally … that it could potentially aid with major ailments like diabetes and heart disease—and much more. The more scientists study this seemingly common, everyday plant, the more they learn of its impressive benefits and capabilities. That’s why we recommend a daily supplement like AloeElite for virtually everyone out there. Concentrating dozens of plants into a few small pills, AloeElite’s supplements provide a nearly unrivaled concentration of the Aloe Mucilaginous Properties (AMPs) that make Aloe such an effective treatment.